Jose Mourinho took another thinly-veiled shot at the Manchester United board by comparing the club’s success and amibition with that of Juventus. The Portuguese’s side met up with the Italian champions in the Champions League this week, with Paulo Dybala’s finish leading Juventus to victory in a match that wasn’t every truly a close contest. 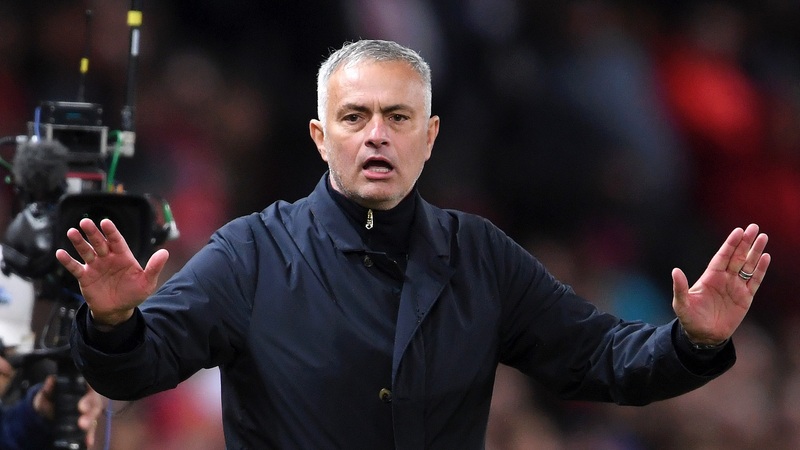 Mourinho has repeatedly said that his team are not strong enough to compete amongst the elite and, following the Champions League defeat, he reiterated the point. “I am not going to discuss with you the way that I think Manchester United should be organised,” Mourinho said. “One thing is to compliment Juventus, but it’s another to give my opinion on how Manchester United should or shouldn’t be organised at that level. “But for me, the biggest compliment to Juventus is not even about their structure. “My compliment is about the philosophy and the basic things behind the philosophy. “And he told me: ‘I don’t want the eighth. I want 10 in a row.’ I think that’s a fantastic answer and a fantastic statement. Juventus currently sit top of Serie A after taking care of Empoli on Saturday. Trailing early following a goal from Francesco Caputo finish, Juventus came back on a brace from Cristiano Ronaldo to maintain their stranglehold atop Serie A. “They [Juventus] always want more and more and more. I think the objective of the club is happiness related to football results and they are going to chase that treble,” Mourinho said. “If it is not this year, they are going to chase it next year. If it is not next year, they are going to chase it in the other years. Mourinho’s side, meanwhile, sits 10th in the Premier League ahead of a match against Everton this weekend. The club has won just one of its last seven matches, and Mourinho reiterated that he has always believed that this season would be a difficult one. “My belief is that you did not take me seriously when I said that the second position was a phenomenal position for us and that this season was going to be difficult,” Mourinho said. “You did not take me seriously. You did not look to my experience and knowledge in football. “In football now, every team is getting really powerful and is ready to invest millions.